Get to grips with a powerful off road 4x4 vehicle. Enjoy 1.5 hours of private tuition with an experience BORDA driving instructor. 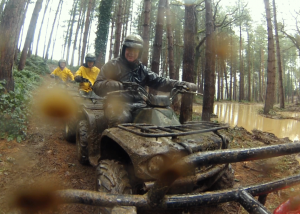 Tackle the tough terrain with this exclusive 4x4 off road driving experience in Kent! Learn the technique and skill of mastering manoeuvres and feel the exhilarating rush as you make your way up, over and across the wild outdoors. You will be faced with tricky tracks that are enough to challenge even the most competent driver, so listen to the expert tuition from the professional BORDA instructors and battle your way through the country's challenging tracks! This is a truly gripping experience so take in all the advice and tips that are thrown your way and prepare for an extremely enjoyable 4x4 afternoon.Your Exclusive 4x4 Driving experience will begin with a welcome to the centre followed by a safety brief lead by your expert, BORDA qualified instructor. 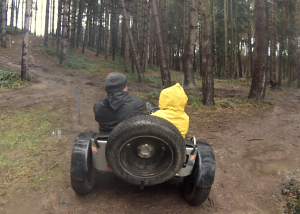 After a quick demonstration lap, you will be at the controls of the extremely capable off road learning some of the basics of off road driving. 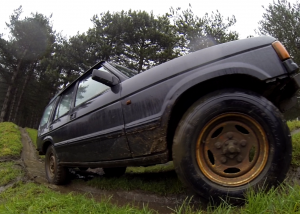 With one-to-one tuition you will pick up a lot of the skills required to tackle the steep hills and thick mud that you will encounter while out driving. Under 16's must be accompanied on site by an adult. Please allow 1.5 hours for this experience and arrive at least 15 minutes before your start time. Participants: The 1.5 Hour - Exclusive 4x4 Driving Experience is for 3 participants. This experience is exclusive use of the vehicle, so can include up to three drivers. Not everyone has to drive as you can sit in as a passenger too. Spectators are welcome. However, viewing may be limited for those outside of the vehicle. In wet weather a change of clothes is advisable - waterproofs are provided. This experience is not generally affected by extreme weather conditions, however if in doubt please contact the centre directly. Our son said it was the best birthday present ever! We both joined in with the ride and enjoyed every moment. We would thoroughly recommend this experience to everyone we know and to those we don't know too! Karl was a brilliant instructor and lovely company. Thank you for a wonderful afternoon! Which model of Land Rover will I be driving during this Exclusive Driving Experience? You will be driving a Land Rover Discovery during this experience. A Defender is available, however you would not be able to take the vehicle out in the woods, so you would split the experience between driving a Defender and Discovery.